A food blog is considered to be the *complete package* when it has short stories associated with a recipe, a simple recipe.. and most importantly, beautiful, appetizing photographs to go along with the recipe. The blogger I'm going to be featuring here today has all the above mentioned qualities in the right amount. And as if that wasn't enough, she names her blog aptly - Hot from my oven. You could smell the smell of fresh bread sitting in front of your computer! Please welcome an Engineer at day and a passionate baker after work - Ramya!! I am super happy that it’s for such a dynamic person like Kavi and her lovely space.. Even now my mom says she can’t believe that I am having a cooking blog. Being the youngest and the laziest in the family I have always kept a safe distance from the kitchen. The only time I enter was when my mom cooks some super yummy dish and the smell draws me there! My laziness aside, I am soo impressed at Kavi..such a young age and already on a cooking Spree..You rock gal! So today I am going to share a Kerala delicacy called Ela Ada . 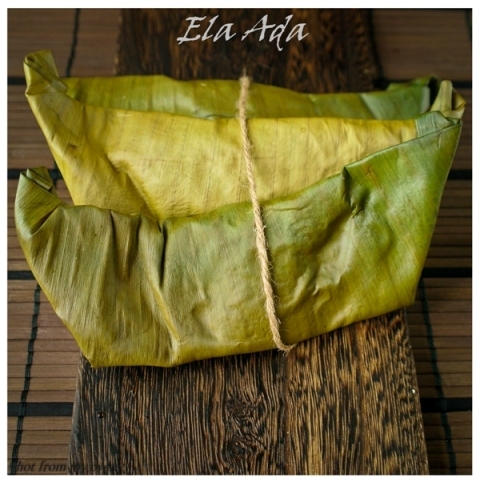 Ela means Leaf and banana leaf in particular here and Ada is something like a steamed rice cake. 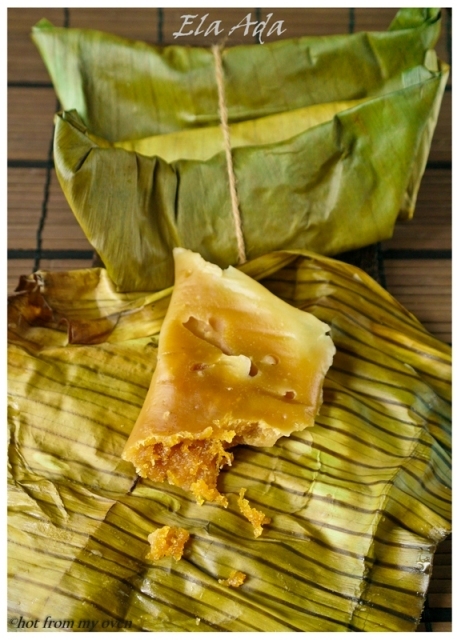 Coconut sweetened with jaggery, Flavored with cardamom is used as filling . As I have a big bottle of Jackfruit preserve, I have added that for added flavoring. But that is totally optional. I added some Chakka varatty /Jackfruit preserve to hot water at this stage as my mom had got me a bottle of Chakka varatty from home. Add about 1- 1 1/2 Cup of this hot water to the rice flour. To the remaining water in the pot, add the coconut and crushed cardamom. Sauté on high flame until all water is absorbed. Do place the cleaned banana leave over low flame for a second so that the leaves are softened and does not crack when you fold . 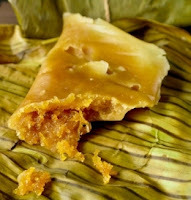 Add a spoonful of coconut mix in the center and fold the leaf and seal the sides. Gently place the Ada on a steamer and steam for 10 minutes. Let it cool down a bit and have it warm. They look great. 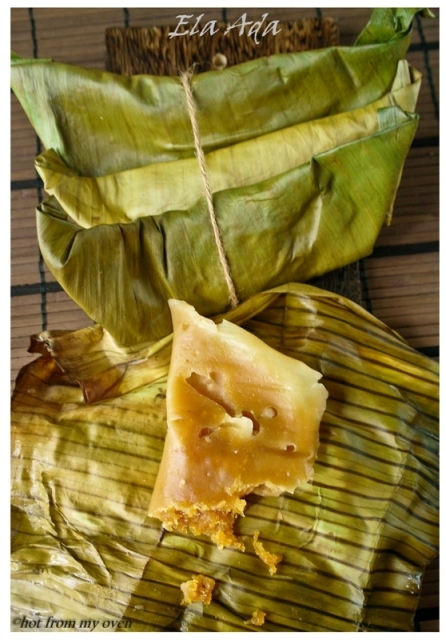 I love anything that uses banana leaf as the wrap as it's very fragrant. Ela Ada ! Wow…thanks for introducing new dish to me. A new dish for me..looks very delicious and tempting..bookmarked..lovely guest post dear.. This is fab in Goa it is made on turmeric leaves. This is awesome. Wonderful guest post Kavi...lovely ethnic recipe...i too fond of Ramy'as recipes and beautiful clicks. Love the adas,super tempting..Lovely guest post ,Kavi! Tempting Ada.Lovely post by Remya. 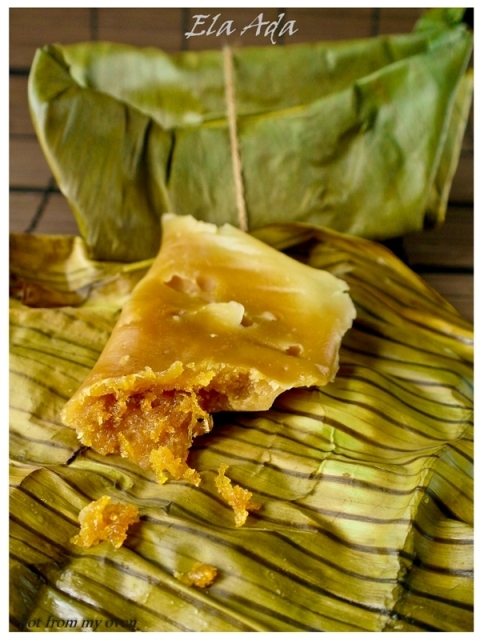 I absolutely adore elai adai! This look delicious!